The notification regarding the GATE 2019 Important Dates was announced by the conducting authority on 1st September 2018. The GATE 2019 will be conducted in two shifts i.e. First Shift: 09:30 AM to 12:30 PM Second Shift: 02:30 PM to 05.30 PM. The GATE 2019 Important Dates which are mention below are taken from the official website. What is the last date of changing exam centre for GATE 2019? If I will submit my application form and want to change test centres due to some reasons, then what is the deadline for that? Last date to make any changes in Exam cities in GATE 2019 Application Form will be 17th November 2018. To know more important dates, click here. When will the GATE 2019 Application form release? What is the GATE 2019 online application form start date? 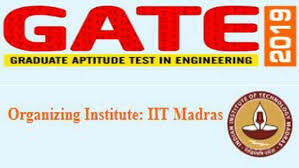 GATE 2019 Application form will release on 1st September 2018. To know more important dates, Click here. When and what time is the GATE exam being scheduled for the year 2017.